Modern automation systems generate large volumes of data about what is happening on a machine or production line. Smart HMIs provide an effective way of collating this date to provide up to the minute information about processes. Increasingly, manufacturing engineers are using the data held within controllers and HMIs to help them maximise efficiency and minimise downtime. Good decision making requires good information. This requires two things. The first is the ability to collect and store the data. The second is to quickly access and interpret this data. Alarm handling helps operators and maintenance staff quickly pinpoint a problem when something goes wrong. Initially, this may simply be a description, date and time. However, to get the most out of alarm data you also need additional information. Frequently, system integrators build-in functionality requiring the operators to qualify the alarm before they can clear it or acknowledge it. This provides a means of applying common reasons for faults, such as product jams, lack of product or other issues. Today, even the smallest Smart HMIs handle alarms and data logging. The next question is how best to use the collected data to improve decision making. Further, in what way is the data useful for improving the efficiency of production facilities. For example, by highlighting waste and bottlenecks. As standard, Mitsubishi Electric GOT2000 HMIs include embedded connectivity with FTP and MES as standard. This makes it easy to send reports to a manager’s desktop automatically, or in the event of a problem. By analysing alarm data in a timely manner operators and managers can pre-empt problems with a process. Thereby, saving valuable time and money by avoiding costly downtime. The development of Smart HMI technology over recent years has made data collection and analysis even more affordable than ever. It provides users with the opportunity to capitalise on the IIoT to reduce costs and waste. Further, it provides peace of mind for the owners and operators of manufacturing plants and processes. 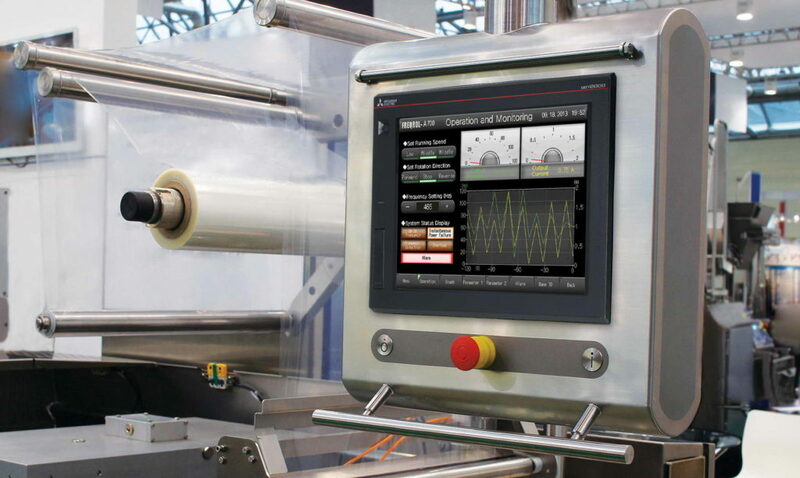 What is your Smart HMI hiding?